Have you tried the French macarons? Not to be confused with macaroons made from shredded coconut, the French macarons are more delicate, are filled with variety of flavored concoctions and are incredibly pretty, that is if you buy the right ones. I've had a pleasure of eating macarons in San Francisco, Paris (of course) and Madrid. 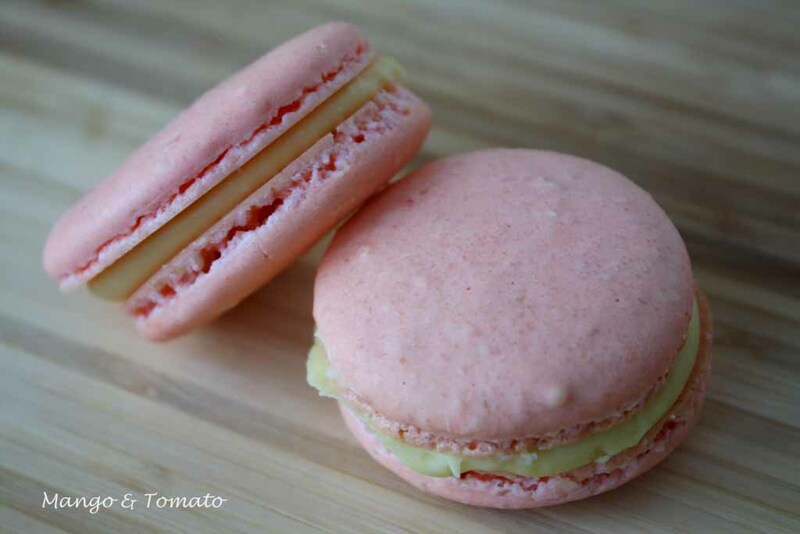 Once, I even baked macarons for one of the Daring Bakers challenges. Although my macarons tasted pretty good, they looked nothing like they were supposed to. And oh my god, they did not have feet! What are the secrets to baking French macarons then you might ask? Well, that's exactly what I wanted to find out. And once again, Twitter came to the rescue. Cecilia of One Vanilla Bean has tweeted photos of her perfectly baked macarons multiple times, and I decided to contact her and see if we can have a baking date. Luckily, Cecilia said yes and we got Laetitia to host the party. Julia, Valerie and Mariya also joined in. We chatted, snacked, drank mimosas and baked. 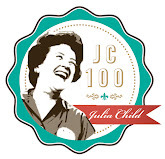 For full recipe and instructions, check out Cecilia's post. I just want to highlight a few things that I learned. 1. Buy a scale. 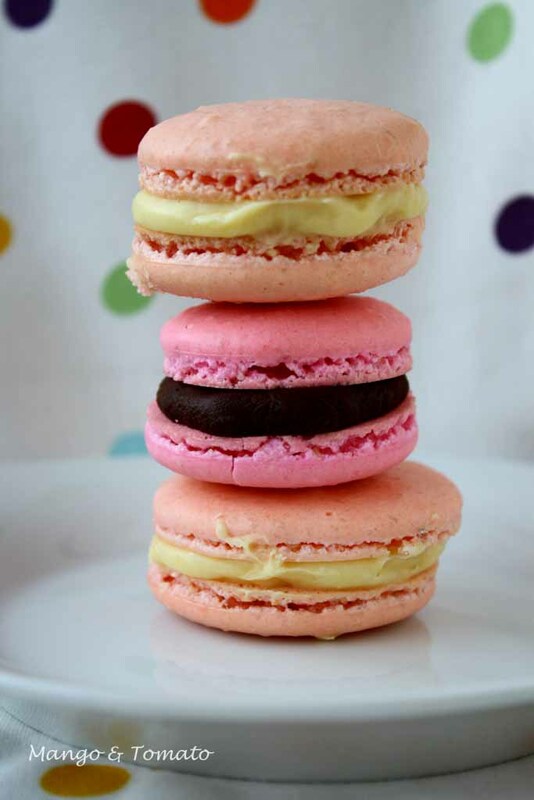 Macarons are incredibly delicate and you must be very precise in all of your measurements. The scale is the only way to go. 2. Don't half the recipe. Make the entire amount and make sure you have 4 cookie sheets and 4 silicon liners. 3. Separate the egg whites from the egg yolks several days in advance because you actually need old egg whites for this recipe. This was one of the mistakes I've made when I baked my macarons. 4. Don't panic. Be precise and meticulous in your baking, but don't be so scared that you start panicking. Even if your macarons don't develop feet, they'll still be delicious. 5. Once you pipe the macarons, tap the cookie sheet on the table a few times and then let it sit for 30 minutes before baking. Bake one cookie sheet at a time. 6. Get some of your friends to come over and help you fill the macarons. Otherwise it'd take you quite some time. We had three fillings: rose lychee, lemon, and chocolate. The chocolate was my favorite. The lemon filling with white chocolate was really good too. But I'm just not a fan of flower-y scents in my food. To me, it's like eating lotion. Luckily everyone else was a fan of rose lychee filling, and it definitely did not go to waste. Will I be baking macarons in my own kitchen? Very unlikely. Am I happy that I participated in the successful baking of macarons under Cecilia's supervision? Most definitely! PS. 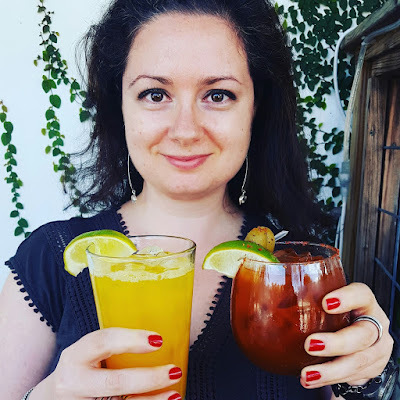 I've entered my Indian Inspired Mussels recipe into a recipe contest hosted by Amanda of Metrocurean. The winner gets a gorgeous purple Le Creuset 7.25 quart French Oven. If you have a minute, could you please vote for me? It only takes a click and you can do so daily through November 7th. Thank you! Your pictures made me want to lick my computer screen ;-) Such a fun afternoon baking macarons. i love macs and i have to make a session again soon. my favorit tastes are lemon and beurre sale. 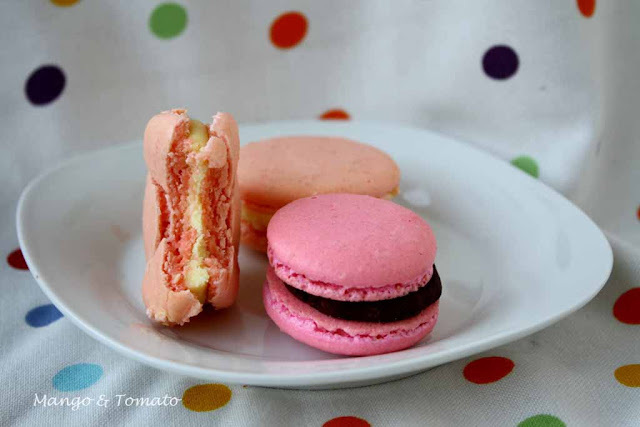 your tips are really good, to do macarons isn't that easy. I've actually never had a macaron before, and I'm a baker! Shame on me. They look YUMMY! I've never made macaroons and honestly don't know if I have ever had one either. They sure do look intricate to make. And delicious! Those are gorgeous, you did a great job! I am a bit scared of them, I must confess, but maybe someday I will overcome my fears. Thanks for walking us through it. I have 3 eggs whites aging in the fridge for 3 days now. 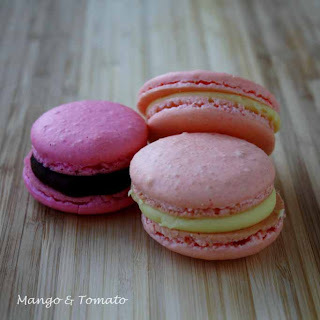 I was thinking of making macarons but I so intimated with the preciseness with which recipe has to be followed. And now I dont own a scale so I'm having second thoughts again! good on you for getting them right! i always say, don't be afraid to make macarons! =) these look perfect! ha, funny you don't like flower flavor. The rose lychee sounds good to me and one of my fave macarons was the rose geranium macaron at Miette...oh memories. Oh, I've totally given up on mac making after like 20 attempts. I just got to frustrated. Thank goodness I have access to both Laduree and Pierre Herme these days... and hubby's credit card LOL. Still, great tips, I totally agree with all of them. What a fun baking party! 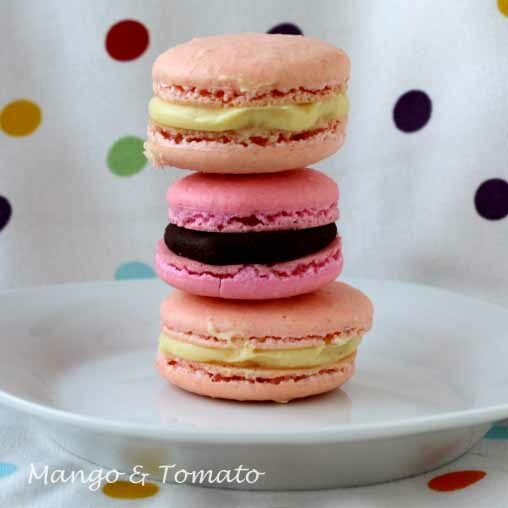 I've never had the courage to make macaroons at home but maybe I can get a gang together and we can try it out! These are adorable! I have yet to attempt macarons, I've been so chicken, but you have given me courage (and great tips!)! this is such a cool idea for a wedding or baby shower.